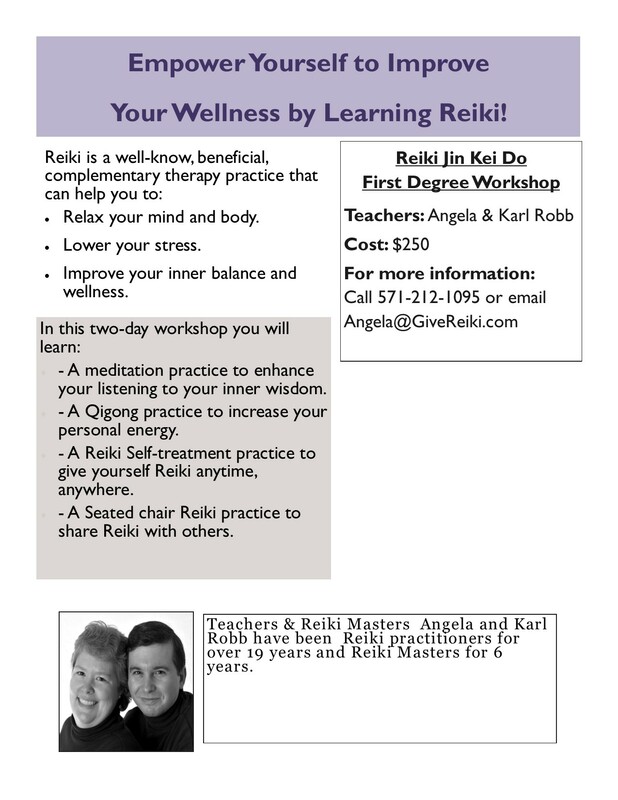 Karl and I enjoy teaching Reiki to others. We believe everyone should learn Reiki to help themselves. Living with a chronic health condition? We’ve taught classes within the Parkinson’s disease community tailored to the needs of this community. We believe everyone should have a box of tools to help themselves for their body, mind and spirit.